When I was diagnosed with Diminished Overian Reserve I was crushed but hopeful. After all, my whole life I’ve been told that I could do whatever I put my mind to and that had largely proved to be true. I followed the doctors orders, I exercised and ate right and took vitamins. I read success stories and thought positively and ate pineapple cores and meditated. I gave myself the shots exactly as described, on time and in the proper amounts. I was on time to every appointment and was an advocate for my own care. As the procedures failed to work I became more and more desperate. Finally, after 3 medicated cycles, 3 IUI’s, 3 rounds of IVF, 1 miscarriage and 2 clinics telling me I was no longer a viable candidate for IVF I turned to donor eggs. My younger sister offered to donate her eggs but testing showed that she also had DOR. My RE advised that, based on her numbers (which were the same as mine when I started treatment) she and her soon to be husband should start trying right away but that they should be prepared that they may need medical intervention, and soon. The RE said it was unlikely that they would ever conceive naturally. 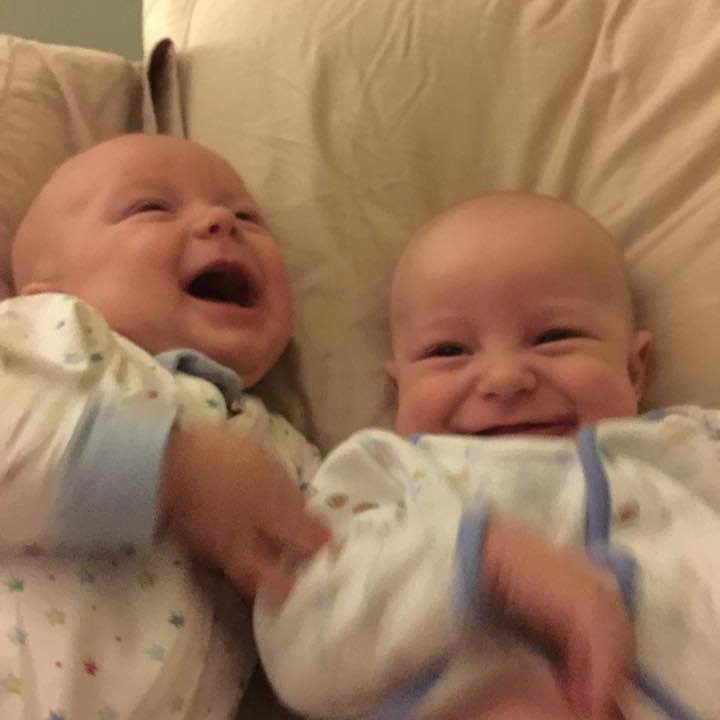 I moved on and eventually found a donor and we were blessed with twin boys from that donation cycle. My sister married soon after and they began trying right away. And they were successful almost right away. She told me she was pregnant the day before the gender reveal party for my twin boys. I felt nothing but relief that she was able to conceive at least one child naturally and would be able to avoid, for now, the long and painful path I had taken. She officially announced her pregnancy at my baby shower and I was happy to share the moment with her. My sons and her daughter were born 3 months apart. Just before her daughters first birthday she called me – she was pregnant again. I was shocked. Gone was the relief that she had naturally conceived and somehow managed to play the odds in her favor. In it’s place came darker, uglier feelings – envy, resentment and jealousy. I managed to squeak out the niceties and when I hung up the phone I cried long and hard. Her son was born just before her daughters 2nd birthday. I was at the park with my family yesterday when I got a text message from her. It was a sonogram with the message “Meet the tie breaker!”. I stopped, frozen. My husband took one look at my face and took the phone out of my hand. After a quick glance he rounded up the kids and dog and got everyone in to the car. I cried silently the whole way home. I’ve spent the last 12 hours grappling with complex feelings and inadequacies that I thought I had long ago put to rest. I’m happy for my sister, kind of. I’m glad she doesn’t have to go through what I had to go through. I’m grateful that she can have the family she wants. But I’m sad for me and the process that I had to go through to conceive. I’m sad that my babies aren’t wholly mine. I’m jealous that she beat the odds not once but 3 times. (And I’m well aware that she’s exploiting the fertile window after weaning, and I’m aware that the testing may have not been right and I’m aware that, despite our identical hormone levels and ages at diagnosis that our bodies don’t work the same). But I’m envious that she’s been able to grow her family the way she wants, with ease. I’m afraid that my family views her children differently than mine – her husband is certainly unkind to my kids. When I saw that message I once again felt the weight and struggle of my infertility held up against her easy fecundity and I felt inadequate. In that moment my journey ceased to feel like an accomplishment and once again took on the hue of failure. I love my sons, now 3, with all of my heart and I wouldn’t trade them for 10 bio babies and a million dollars. But it hurts when people tell me how much they look like me. It hurts to not be able to fully claim them. And although we already talk about the “nice lady who shared her eggs” I would be lying if I told you that I’m not afraid of them rejecting me somehow when they understand their genetic origins. Infertility and loss pushed me to my limit – emotionally, physically and monetarily. I lost part of myself in the process and I don’t think I’ll ever get that back. I know I’ll come to terms with this. I know I’ll love this new child just as much as I love the other two. I know, eventually, I’ll move past the pain and hurt and anger and resentment be able to embrace the joy and excitement of this new pregnancy (yeah, ok, maybe not so much). But this definitely shows me that my infertility wounds are not healed. I have a lot of work to do on myself. I just feel like I’ve done so much already and I’m so tired of fighting this same battle. Guest blog by Avery Neal, MA, LPC. Ever noticed that those struggling with infertility also frequently tend to suffer from anxiety? Perhaps you’ve experienced this first hand or have a close family member or friend you’ve watched go through this. Though there is no question that the standard hormone regimen that women face while undergoing treatment for infertility exacerbates mood shifts and can cause anxiety, there are some commonly experienced feelings associated with infertility that can easily lead to the development of anxiety. From a psychological perspective, an ongoing sense of helplessness for a prolonged period of time causes us to experience anxious thoughts and feelings. Chronic helplessness results from the sense that no matter how hard we try; we may in fact be quite powerless in a situation that is beyond our control. This is particularly painful when the outcome is significant to us, as is the case when we desperately want a child. In the case of infertility, there are many factors that are beyond our control, not the least of which is that our body may or may not be doing what we want it to do. No matter how much we will ourselves to get pregnant, the exact methodology that will result in a successful pregnancy and timing of it remains largely unknown on the front end of it. Have Fun. Enjoy the freedom that comes with having less responsibility. It doesn’t mean that you want a baby any less, but engaging in things that you enjoy will give you a break from the heaviness (and scheduling) that accompanies trying to get pregnant. It will also serve as a temporary distraction, making the time pass by infinitely faster. Make having fun a priority so that you don’t completely lose yourself in a process that can easily become all consuming. Stay Present. Make a conscious effort to live in the present moment, rather than succumbing to the temptation of living in the future. It is so easy to make everything revolve around waiting, but this only makes each minute feel long and excruciating. Try shifting your awareness to what you do have, and focus less on what you don’t. Take some time to visualize what you desire each day in great detail, holding those positive images in your mind. You can go back to those positive images any time worry begins to take over. Acknowledge your Feelings. Some days are going to be easy, some days will not. It’s okay to feel disappointed, angry, sad, and hopeless at times, and everything in between. Often the road to a successful pregnancy is not a straight one, and of course, you are going to have some feelings with each turn that it takes. This is completely understandable, so be gentle with yourself. Give yourself full permission to feel how you feel, unapologetically. Try Not to Get Too Isolated. It’s easy to want to hibernate when we are sad. This is especially the case when we are facing a difficult time getting pregnant and it seems everyone else is posting an ultrasound photo or hosting a baby shower. If you need to protect yourself from this by getting off social media, for instance, listen to that need. It is important to protect yourself from things that make you feel worse. However, make sure that you are continuing to engage with your primary support system. Fight the temptation to become too isolated, which only feeds anxiety and depression. The key to overcoming distress caused by an ongoing sense of powerlessness is to take charge of what we can. It may require a bit of thought, but thinking of various areas of our life where we can directly influence our experience, leaves us feeling much stronger and less helpless. Avery Neal, MA, LPC is a practicing psychotherapist and writer. She specializes in depression and anxiety at all stages in a woman’s life. She has also worked extensively with women suffering from prenatal anxiety and postpartum depression in addition to helping women recovering from divorce and healing from emotional abuse. Avery is passionate about empowering women to discover their own inner strength, leading to higher self-esteem, confidence and overall life satisfaction. In 2012 she opened Women’s Therapy Clinic, which has locations in both The Woodlands, Texas and in Denver, Colorado. Her upcoming book is entitled “If He’s So Great, Why Do I Feel So Bad?”. To read more of Avery’s writing visit http://www.womenstherapyclinic.com/blog. When confronted with raw emotion, unimaginable loss or desperate circumstances people often say nothing because they don’t want to say the wrong thing. As women (and men) who have experienced infertility, miscarriage, infant loss and other difficult or tragic life events we have often been the recipients of well intended but thoughtless comments and we know the pain and hurt they can cause. But we also know that sincere and thoughtful messages can give us incredible hope and comfort. I just stumbled (again) across this brilliant line of empathy cards. Take a second and read through them. Aren’t they wonderful? I wish someone had said these things to me. And I can think of 5 times off the top of my head where I wish I had these types of responses at the ready. So, let’s just all take a moment and read through these and commit some of these thoughts and sentiments to memory so that when we’re in the position to lend someone support or comfort during a difficult time we can do it with a touch more compassion and grace. My friend was recently quoted in a documentary and what they said really resonated with me. As it turns out they were quoting author/speaker/blogger Courtney Martin – this woman has articulated my life. And just like that, I melted. When we were considering using donor eggs I had a lot of questions. Would I love a DE child like I would a bio baby? Would that child love me as if I were a “real” mother? Would my parents and extended family view my children differently because they’re from DE? This weekend my parents came to visit. We had told the boys they were coming and so when they finally showed up the boys were in a frenzy to see them. My parents were mobbed when they walked in – hugs and kisses and “I miss you” and “Nana and Papa home!”. My mom was on her knees with the boys wrapped in her arms and they were covering her with kisses when Ro said “Why Nana cry? Nana sad?” and I realized my mom was crying. She was so happy to she them she was crying. No doubt that those are her grandchildren and she doesn’t give a flip where the original cells came from. Fast forward to last night – Z woke up wet at 1:30 am so I went in to change him. After I’d changed him and settled him back in bed I bent down to kiss his forehead and he wrapped his chubby little arms around my neck and said “Tank you mama. I love you.” That was the first ever unsolicited “I love you” from either of my boys, and just like that I melted. Every fear that I still secretly held deep in my heart evaporated. Every shot was worth it, every tear. Yes, I love them for exactly who they are and I wouldn’t change a thing. No, my parents love them and their origins are irrelevant to the depth and intensity of that love. Yes, I am their mother. I am a mother. I am a “real” mother. The 13th worst day of the year. The other 12 days that were worse? The day my period started each month. The day that marked another failure. Another cycle gone. Another month of trying and wishing and hoping. In vain. Every single month. Now that I have my boys Mother’s Day is bittersweet. My heart aches with joy at my blessings. My heart aches with pain at the knowledge that there are so many others out there that are still trying and wishing and hoping. So many others dreading this day. Dreading the 12 other worst days. So for all of you out there still trying – I’m thinking of you. For all of you out there that have lost your babies – I’m thinking of you. For all of you out there that have lost your mamas – I’m thinking of you too. This can be a trying and painful day for so many reasons. Be strong. Be good to each other. I’m thinking of you. I know it’s been a million years since I’ve written – I’m so sorry! I’ve been so busy! This twins thing is nuts. Let me begin by saying that they are more spectacular than I ever could have imagined. They are huge and healthy and beautiful. (There’s so much I want to say I can’t get my thoughts in order). They are wonderful. They are such a gift. I still think of the donor every day. It still hurts. There are some days when I cry sad and bitter tears because they aren’t “mine”. I didn’t contribute (in the usual way) to the absolute miracle and wonder that are my boys. That being said, I also recognize on a deeper level that they would not exist without me. Some days I feel like the force of my will brought them into existence, and in some ways I guess it did. I have struggled with many things these last few months – motherhood, lack of sleep, lack of confidence, breastfeeding, loneliness, fear…. In particular breastfeeding has been a struggle. Both babies were tongue-tied and we had to supplement from the start. R latches now and I’ve resigned myself to pumping for Z but I have struggled with disproportionate feelings of inadequacy due to my breastfeeding struggles. A few weeks ago I faced the fact that I was so set on breastfeeding because I subconsciously felt like it would make me more of a mother to them. I have realized that I have a hard time asking for help, or showing weakness or really compromising any of my motherhood “ideals” because I feel the need to prove (to them? myself? the world?) that I really and truly am their mother. I’m working through it, but it was a big realization for me. A hard fact to face. That being said, I think I’m actually doing a pretty good at this mother thing. 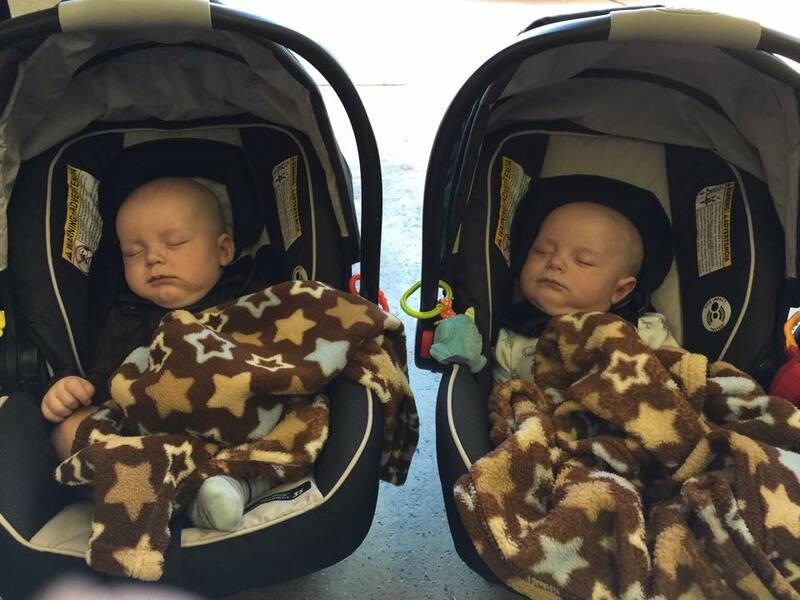 They are big and healthy – both are 26.5 inches long and they weigh 17 lbs 1 oz and 16 lbs 4 oz at 4 months. Z can roll over in both directions and has 2 teeth. R talks to everyone and lights up the room with his big gummy smile. He can stand up tall if you hold his fat little fingers. They babble to each and giggle with delight when the cats walk by. R will belly laugh if someone says “Mongolian BBQ” – don’t ask me why. Z is a champion napper but won’t sleep at night. R thinks naps are for amateurs but sleeps the whole night through. They are amazing, and I can’t believe they’re mine. No offense intended to anyone with religious leanings, but now that my body very clearly contains 3 separate people with their own personalities, thoughts (and especially) sleep schedules the title just seems to fit. I’ve been strangely “unbusy”. I find that I can lay for hours on the couch in a semi-awake daze – something my overactive brain has never once in my entire life allowed me to do. Don’t get me wrong, there are lots of things that need doing, I just have ZERO drive or motivation to do any of them. My baby brain is bad. I didn’t do anything – work, manuscript writing, housework – last week. I just….couldn’t. I would open a document to start working, have a contraction, lay down and then go to sleep. Wake up, eat, watch soccer, remember I was supposed to be working and lay down again. This is totally unlike me. I’ve physically gotten to the point where I make other people visibly uncomfortable. Even the saleslady at Motherhood told me to go home and stay home when I went in to get measured for nursing bras. So, the only time I’ve really been out the house for the last week or two has been to go to child birthing classes. I went to a breastfeeding class and a birthing center tour at the hospital where I’ll deliver, and the last 2 Sat.’s we went to birthing classes – one at the hospital and one at a local birthing center. BTW, I highly recommend taking those kinds of classes. Even my husband agreed that they were useful and says he feels much more confident now. At the “hippie-dippie” natural birthing class (as my husband called it) I just jumped right in during introductions and told them that I was pregnant with fraternal twins as a result of egg donation. The teacher and one of the other ladies then both said they had (or were having) children as a result of IVF. During the break several couples came up to us and asked very good and thoughtful questions about how we arrived at that decision and what the process was like. And, of course, everyone had a story about a sister/friend/aunt/cousin who was infertile and how hard their struggle was. Granted, this was by its very nature a supportive environment, but I was quite pleased that my first foray into “telling strangers” went so well. Anyway, the babies are really big and I am super uncomfortable. They’re also very active which is great, but they’ve actually split my abdominal muscles in 3 places from all of their squirming, which isn’t so great. The nursery is finished (I think) and we have just about everything ready to go. My bags are packed for the hospital. My birth plan is ready. Now all we have to do it hope and pray that Baby A will turn head down so that I can at least TRY to implement my birth plan. I really want to try and do this “pioneer style” – no meds at all, completely naturally if possible. I know people think I’m crazy, and it may end up (for any number of reasons) that this won’t happen, but I feel like the whole conception process, as grateful as I am for it, was so medically orchestrated and outside of me that I want this to be just me. Me and my husband and our babies. I want to feel it all. Maybe I’m looking for some extra legitimacy – some additional “I carried you and birthed you and I am your mother” fodder for down the road, I don’t know. I just feel strongly that I at least want to try. I want to prove to myself that my body isn’t broken. I felt for so long like I was defective, like less of a woman, because I couldn’t get pregnant. Now that I’ve watched my body grow these babies I want to, once and for all, wipe away those feelings of defectiveness and feel powerful. I want to prove to myself (and to my boys and my husband) that just because I couldn’t do one little thing (like produce a viable egg) doesn’t mean I am any less of a mother or a woman. Wow. Writing that down it becomes clear to me that the only person I need to prove that to is myself. Huh. Here’s the latest bump picture – my mom says I look like a mongrel dog with the big belly and the protruding ribs (not as visible in this picture as in real life). hahaha! I swear, I’m eating constantly, but these little fellas are just sucking it out of me. I’ve currently gained just shy of 50 lbs, so I’m on track for weight gain, I’m just ALL BABIES. 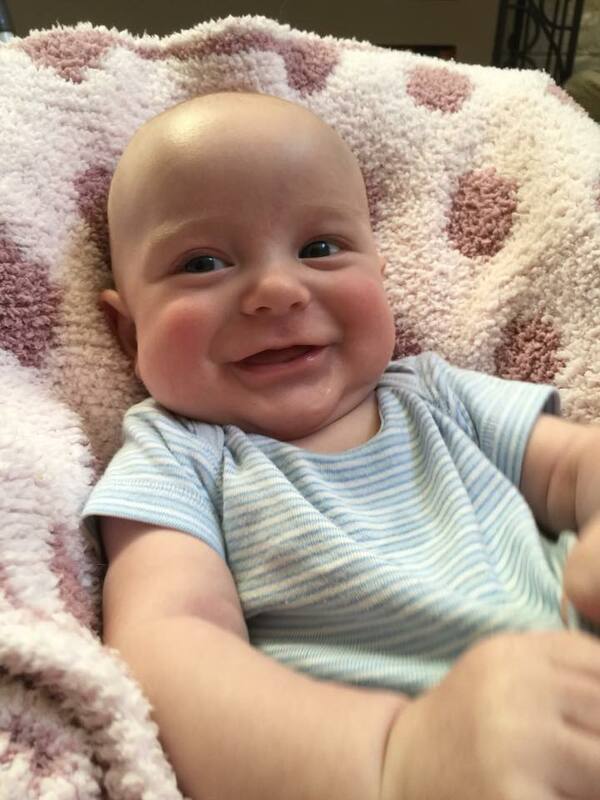 Ever since I got pregnant (4th IVF, using donor eggs for those of you just joining the convo) I’ve been struggling with what to do with this blog. Do I keep it? Start a different blog? Abandon it altogether? Because I know how hard it is to see someone be successful in this process – even though you’re completely happy for them it’s terribly difficult. I know how awful it is to keep failing and watch everyone else succeed. It is really, really hard – demoralizing even. You go from being comrades, survivors, confidants to feeling (for me at least) on the outside, once again. Sonograms, doctor visits, bump pictures – they hurt. Believe me, I know. So if you have to unfollow me at this point I absolutely understand, and I don’t take it personally. It’s just that the more I think about why I started this blog in the first place the more I feel that I need to continue my story here, because my story isn’t over, not by a long shot! The reality is that I am pregnant with 2 little boys as the result of egg donation. I’m ok with that. My husband is ok with that. My family, his family, our close friends – all “A-OK”. It’s the rest of the world I’m worried about. And some days it’s still hard. As I get bigger I get more and more questions about what we think they’ll look like, who we think they’ll take after, etc. And that’s only going to get worse after they’re born. 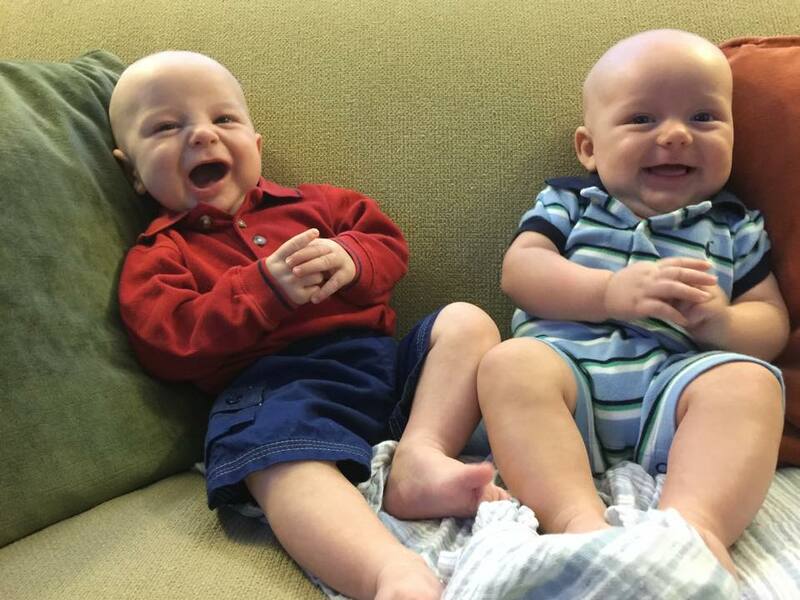 I’m getting better at fielding the questions, but every so often I get really, really sad that I don’t have a genetic link with these babies (I know about epigenetics – I’m talking about a classic genetic link). I’m learning that, as happy as I am to have these little guys and as much as I already love them, there will always be an ache, a sore spot. And that’s ok. That doesn’t make me a bad person, or a bad mother. It makes me human. I didn’t get my fairy tale. What I did get was life – real, visceral, in-your-face reality. And I earned these babies with blood, sweat and tears – literally. And I think that’s an important story to tell. And I know that I, my sons, my whole family, will struggle with this for years to come. We will be honest with the boys about their conception, but that’s a story that has to be told and retold, made and remade for years and years. And it’s a complicated, emotional and difficult story for everyone involved. It’s going to be hard. Certainly, folks have navigated these waters before and there are far more resources than there used to be, but it’s hardly commonplace. When I was researching donor eggs I had a hard time finding anything personal, most information was from clinics. And I didn’t just want to know the logistics – how to choose a donor, what meds to take, cost – I wanted to know how it all turned out. Did the donor conceived kids turn out ok? Did they feel like a family? Did the parents love them like their own? Did the parents dwell all the time on the differences between them and their children? Did they spend time looking for the donor in each mannerism? Or were these kids just kids like any other kids? And on and on and on…. So, I’m going to keep this blog so that anyone who is considering the same path I have taken can know how it all turned out – start to finish. And with that, here is the obligatory bump picture – 2 days shy of 30 weeks pregnant with fraternal twin boys.